There are big changes ahead for CBS’ late night schedule, as longtime Late Late Show host Craig Ferguson will be stepping down next month after nearly 10 years in the host’s chair. Replacement host James Corden isn’t scheduled to take over until March 9, which leaves quite a large gap to be filled. Luckily, CBS has signed up a massive list of guest hosts from all areas of entertainment to take over in the interim. According to a press release, stand-up comedian and The Price is Right host Drew Carey will be handling things both right after Ferguson leaves and right before Corden takes over. Carey, who has also hosted the game show Power of 10 as well as a bevy of improv comedy series, will take over for the week of Monday, January 5 through Friday, January 9. (I guess they’re going to run a few repeats in the meantime.) He’ll return for a final week from Monday, March 2 to Friday, March 6. And Carey is just one of ten people coming in for guest-hosting duties. His Whose Line is It Anyway? co-star Wayne Brady, who had his own daytime talk show host for a spell, will also be taking one of the weekly slots. To be expected, stand-up comics are kind of perfect for this gig, as CBS is also bringing in Jim Gaffigan, who’ll soon have his own TV Land sitcom, and Billy Gardell, who plays the male lead in CBS’ Mike & Molly. Other big names include director Judd Apatow of Knocked Up and Freaks and Geeks fame; Arrested Development and The Millers actor Will Arnett, whom I hope showcases excellent hosting skils; former Will and Grace and Sean Saves the World star Sean Hayes; The Big Bang Theory actor Kunal Nayyar, and Reno 911 co-creator and Hollywood screenwriter Thomas Lennon, which may be my favorite choice of the bunch. Lennon is also a part of Ferguson’s final run of guests, by the by. 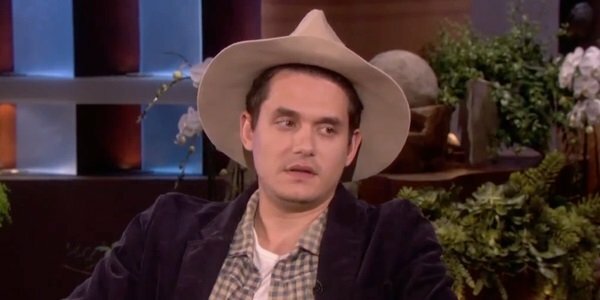 There’s one more guest I haven’t mentioned yet, because I can’t quite wrap my brain around it: Grammy winning musician John Mayer. I’m not saying he’s going to be terrible or anything. I’m just saying it’s hard for me to think about him as comparable to Ferguson in any way. Are you guys ready to say goodbye to Late Late Show’s Craig Ferguson yet?